“Adversity reveals genius, prosperity conceals it”: with this quote Giles Hutchins penetrates to the heart of the paradox he confronts in his book and shows that our apparent prosperity built on machine innovation conceals the deeper genius in nature that offers a richer future. Hutchins takes up this theme, plotting a course that is both provocative and practical based on many years consulting to the world’s leading organisations. Giles Hutchins has set out with a bold agenda. His intention is nothing less than to change the language of business. He has gone about it in a new way. There is a style and a rigour to this book that will make this an important contribution. Giles Hutchins has written with a style, structure and format that will make it accessible to business readers. He has written a manifesto, a business book and a work book. It is divided into modules. Each module ends with helpful and provocative questions to enable the reader to explore the themes for themselves and to challenge the way they work in their business situation. There are eight modules. Module One sets out the case for change, tracking the fragmentation at the heart of the existing business paradigm and its consequences. 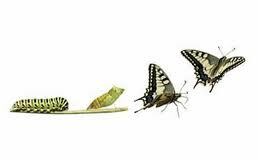 Module Two shows the many ways in which nature acts as teacher to business. 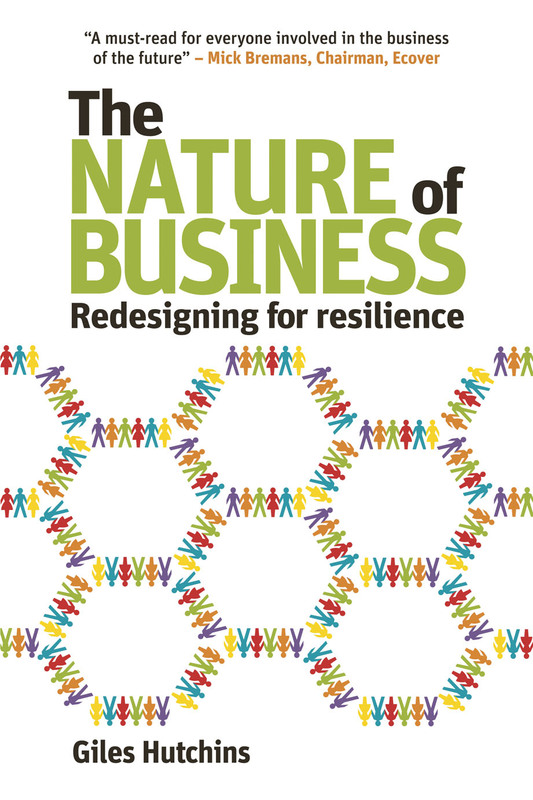 The next two modules explore how firms can draw on the lessons of nature, showing how resilience will grow through harnessing lessons from nature. The remaining chapters focus on putting the ideas into action and provide many inspiring stories and practical ideas on how to lead and organise the transformations necessary for business to make the necessary moves. There is much to admire in this book. I found myself deeply cheered by Giles Hutchins’ section “Inspired by Fungi”. It is almost unique to find a book that seriously advises business leaders to learn from mushrooms – and I am delighted that this one does. Hutchins explains the role of fungi in the forest, creating a mutualism that promotes the wellbeing of the entire ecosystem. Organisational life is like the fungal forest web. So much of the change Hutchins calls for will come about in the informal processes of business life, brought about as changed minds result in new conversations, moving information and nutrients around the corporate forest. In seeking to provide copious practical help for leaders to bring about change, Hutchins’ later modules are more a compendium of tips, techniques and options rather than a coherent framework. Above all this is a book written at the level of the individual firm, thereby leaving aside the necessary work on systemic change that is needed between firms and the economic webs in which they and their consumers exist (and of course research into how to make change at this level does exist, for example in Forum for the Future’s Systemic Innovation work). Even acknowledging some of the limitations this is a very useful, readable and important book. By aiming it squarely at the business reader Giles Hutchins is beginning to take the everyday talk of nature into the everyday talk of business. The very existence of this book is good news: it marks the arrival of the time when it is finally legitimate to talk openly about the business lessons of nature. This is news of a turning indeed. Giles Hutchins’ book will find its place on my recommended reading list. It will sit alongside Brian Goodwin’s book Nature’s Due, with which it shares the agenda of healing the fragmentation that leads to so much damage and destruction. One day I hope that Brian Goodwin’s writing, and indeed many more writings on the wisdom, will find their own legitimate place as sources of counsel in the boardroom. But that day is not yet. Giles Hutchins’ book moves us one more step closer to that day and it is wonderful that he has written it. Buy The Nature of Business for £10 (RRP £14.95) shipped globally from www.greenbooks.co.uk/natureofbusiness – quote code NBGH in the promotion box at checkout. This one is going on my reading list.